In the 1960’s, America was “Californian Dreaming”, but today California resembles more of a banana republic than a healthy state economically. As the more productive citizens move on to more fertile ground, the decline of the state continues. Joel Kotkin, in an article for the Daily Beast observed, “Barack Obama learned the rough sport of politics in Chicago, but his domestic policies have been shaped by California’s progressive creed. As the Golden State crumbles, its troubles point to those America may confront in a second Obama term.” If California is our future, then we are doomed as a nation. Where California once was a leader, it is now behind the United States. The pay gap between the rich and poor is worse in the formerly Golden State than in the rest of the United States, showing that a bureaucratic state with a large public sector union is not the best way to produce economic growth or even a liberal vision of equality. 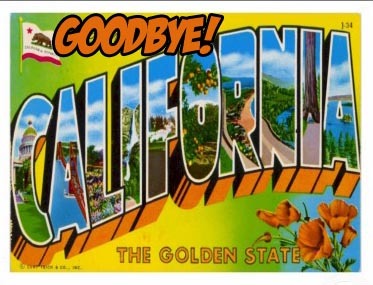 Some four million Californians have left the state to try their search for a better life elsewhere. California's policies are dictated by environmentalist extremists and public sector unions, along with the local crony capitalists, and those policies include more draconian regulations on energy and more restrictive land zoning laws that will result in even fewer single-family homes being built. As Joel Kotkin observed, “The increasingly delusional nature of the state’s politics is best captured by the urgent political push to build a fantastically expensive—potentially costing as much as $100 billion—high-speed rail line that would eventually connect the Bay Area, Los Angeles and the largely rural places in between. Obama has aggressively promoted high-speed rail nationally, but has been pushed back by mounting Republican opposition. Yet in one-party California, Jerry Brown mindlessly pushes the project despite the state’s huge structural deficits, soaring pension obligations, and decaying general infrastructure. He’s continued doing so even as the plan loses support among the beleaguered California electorate.” When you add on the massive attempt to increase massive taxes on the so call rich (including many families and small businesses) earning over $200,000, California looks to slip ever further behind. Obama may be a Chicago politician, but he models his national policies upon the European social democracy and California. The President is basing his policy on failed economic models, which is enough of reason to make Obama a one term President.